The past few years have seen increasing demand for machine learning and data mining – both for tools as well as experts. This has been mostly motivated by a variety of factors including better and cheaper data collection, realization that using data is a good thing, and the ability for a lot of organizations to take action based on data analysis. Despite this flood of demand, most applications we hear about in machine learning involve search, advertising, and financial areas. This talk will talk about examples on how the same approaches can be used to help governments and non-prpofits make social impact. I’ll talk about a summer fellowship program we ran at University of Chicago on social good and show examples from projects in areas such as education, healthcare, energy, transportation and public safety done in conjunction with governments and non-profits. 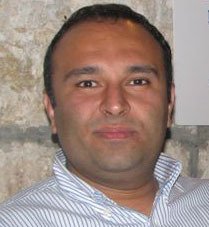 Rayid Ghani was the Chief Scientist at the Obama for America 2012 campaign focusing on analytics, technology, and data. His work focused on improving different functions of the campaign including fundraising, volunteer, and voter mobilization using analytics, social media, and machine learning; his innovative use of machine learning and data mining in Obama’s reelection campaign received broad attention in the media such as the New York Times, CNN, and others. Before joining the campaign, Rayid was a Senior Research Scientist and Director of Analytics research at Accenture Labs where he led a technology research team focused on applied R&D in analytics, machine learning, and data mining for large-scale & emerging business problems in various industries including healthcare, retail & CPG, manufacturing, intelligence, and financial services. In addition, Rayid serves as an adviser to several start-ups in Analytics, is an active organizer of and participant in academic and industry analytics conferences, and publishes regularly in machine learning and data mining conferences and journals.